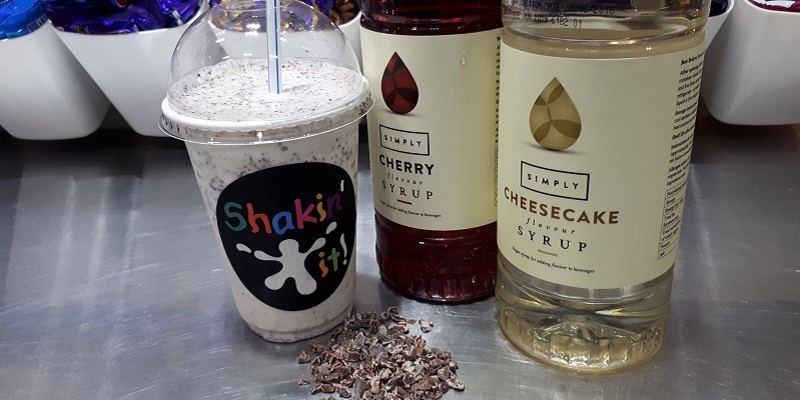 What happens if you can't tolerate dairy and you want a Shake? 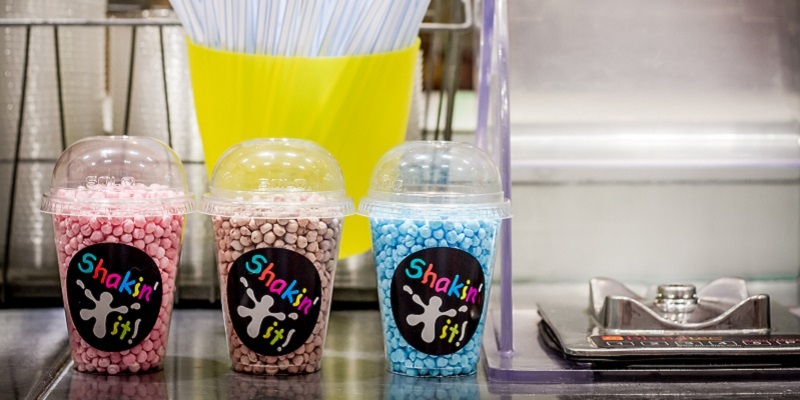 For little kids (and big kids), Shakes are often a favourite treat but milk products can cause serious tummy upsets, allergies or other reactions. 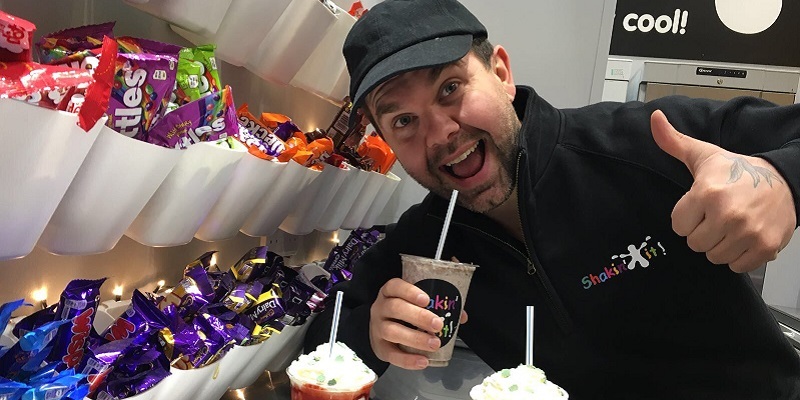 Did you know we offer Shakes with soya ice cream and soya milk with lots of exciting flavours to choose from? Of course, you can choose to be dairy-free as part of a vegan diet. Whatever your reason for avoiding dairy, we have the Shakes for you. 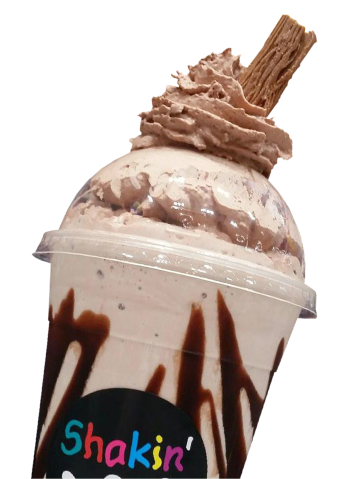 Our customers say our dairy-free Shakes taste really good and we are always trying to perfect the taste, texture and consistency. But it is a fact that non-dairy ice cream blends differently and the consistency of your final Shake depends on the main ingredient - sweeties. chocolate nibs, fruit or maybe even peanut butter! 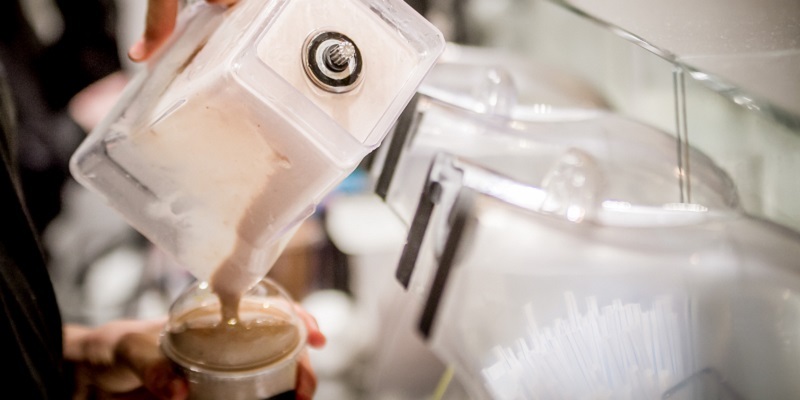 With plenty of practice in the Art of Shakeology and knowledge of how Shake flavours blend, the Shakeologists will add a little less milk and a little more ice cream (and sometimes a whole lot more ice cream) to give you the best Shake experience possible. We are sometimes asked why we charge extra for our non-dairy Shakes. That's a good question and the reason is that we have to shop at the local supermarket for small quantities of ice cream at retail prices because we are limited for freezer space. 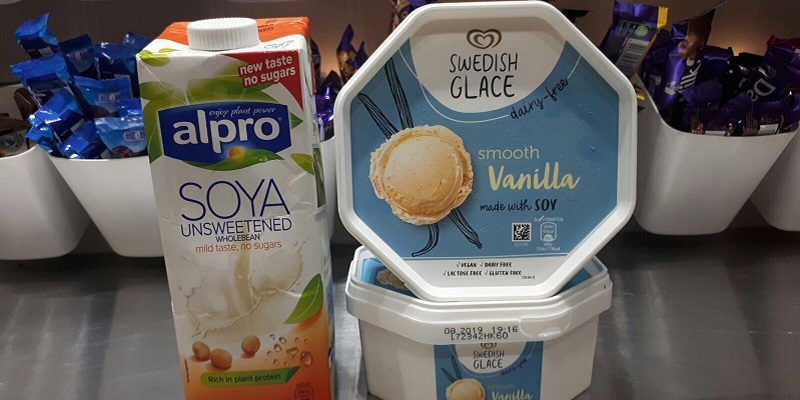 We'll always strive to do our best for our dairy-free customers but, at the moment, we have to pass on some of the additional cost to you. 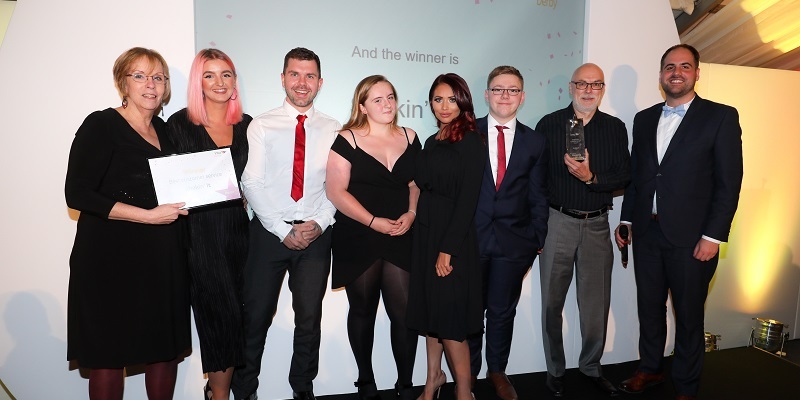 There are just so many if onlys that we can't change but we are working with national suppliers to try and find a solution that satisfies our customers (and ourselves!). We will keep you updated on that one! 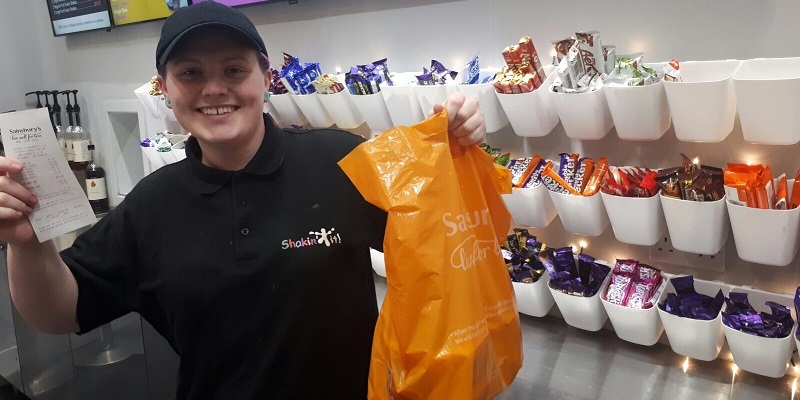 In the meantime, if you see Shakeologist Josie heading to Shakin' it with a full supermarket bag, chances are she's been shopping for dairy-free ice cream! The good news is we have loads of yummy flavours to choose from! 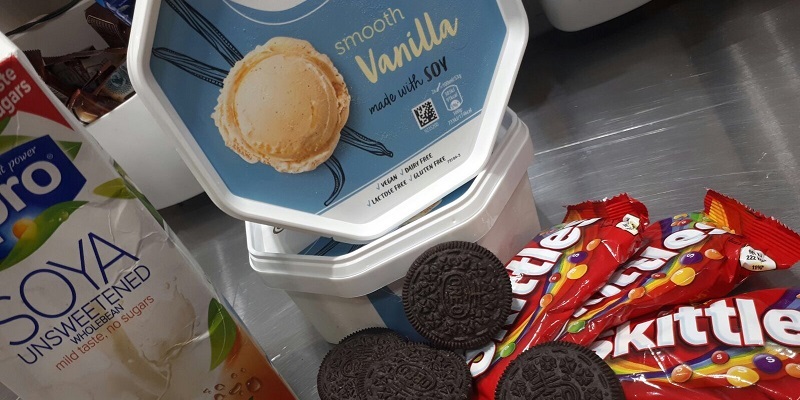 From Oreos (the popular sandwich biscuit) to cool and refreshing fresh-frozen fruit. 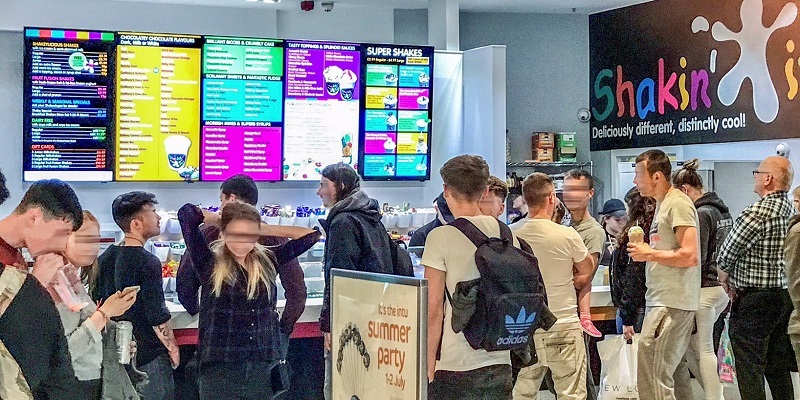 Try Fry's Peppermint Cream, Haribos Peanut Butter or any of the Millions flavours - Bubblegum, Cola or Strawberry. We're always happy to advise on dairy-free and vegan-friendly options. 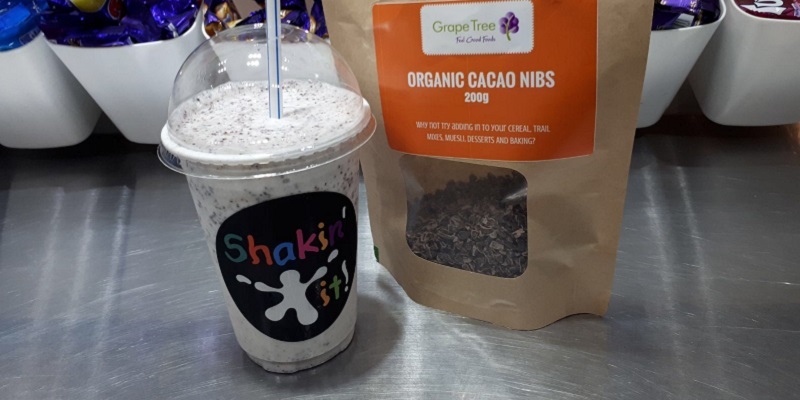 Our Chocolate Milkshake is made with raw cacao nibs and can be enjoyed on its own, with a tasty Syrup shot or even with another flavour like Peanut Butter. 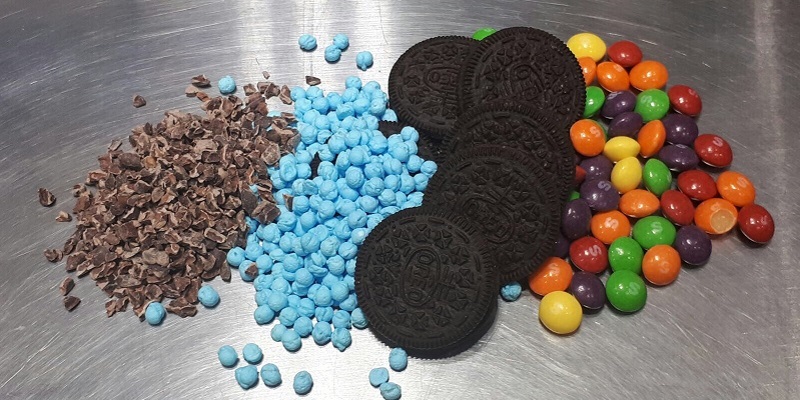 Skittles Fruit, Skittles Sour and Skittles Berry are all perfect Milkshake flavours. 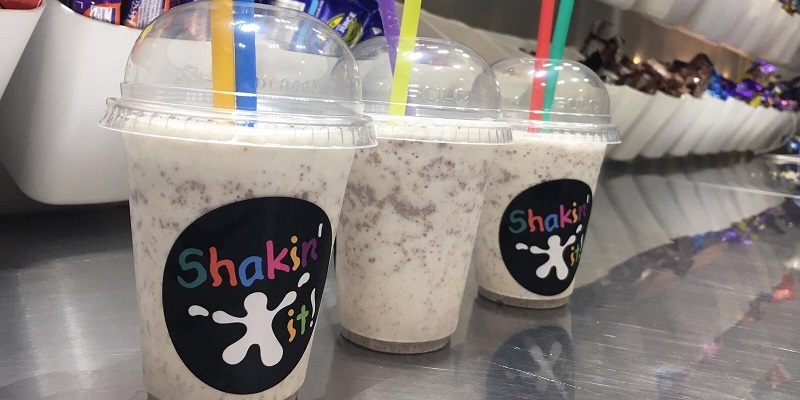 Some customers go for all three flavours in one Shake! We call that one a Skittles Medley. 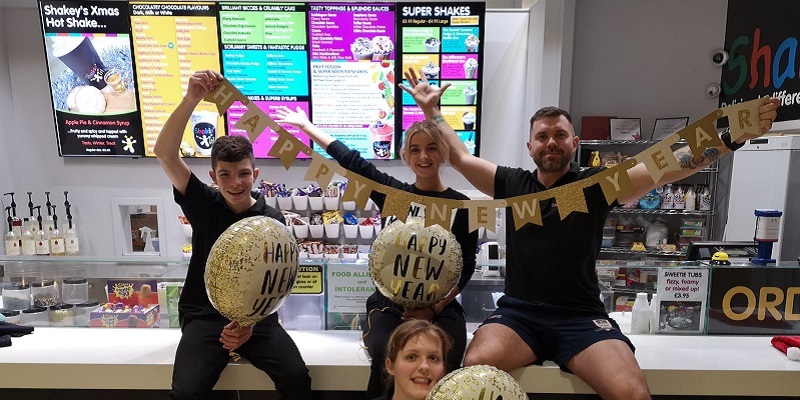 Dairy-free Shakes are now available in Junior, Regular and Large sizes. The Junior cup is perfect for little ones (with a lid and straw so there's no mess). 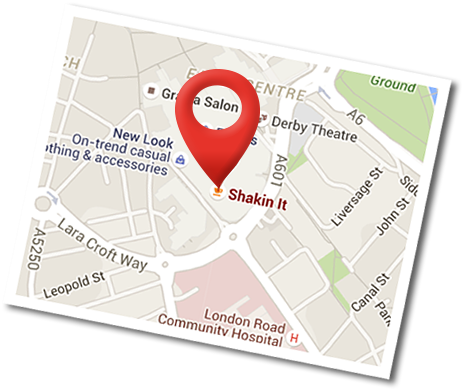 We love seeing all members of the family (little kids and big kids) enjoying the Shakin' it experience!